Watch what happens when Green Velvet and Fisher meet. Best laughs in Business - Track? !D. Watch the hilarious moment below and check out more moments and some info. 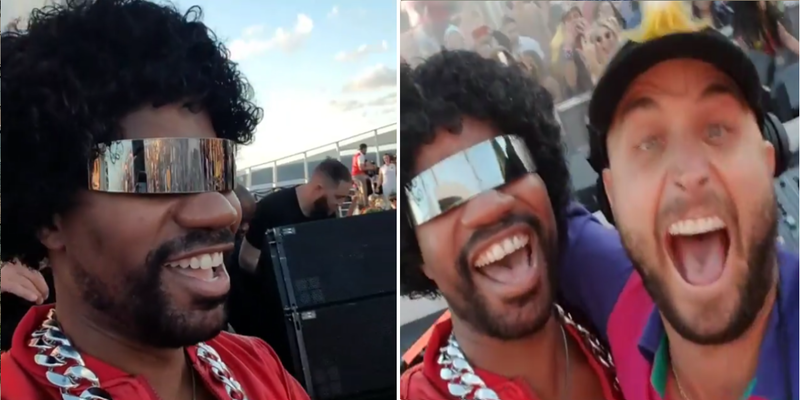 Green Velvet (aka Cajmere) studied chemical engineering at the University of Illinois, where he exposed himself to the energetic culture and lifestyle of house. In 1991, midway though graduate school, Cajmere returned to Chicago to pursue his dream of..